Why did many Sami people quit speaking Sami? A common explanation has been that Sami-speaking parents chose to speak Norwegian with their children. It can seem as if they chose it voluntarily, that no one forced them. But the school has influenced this language-change to a great extent. Firstly parents have often argued that they had difficulties in school because they did not know Norwegian. They thought it would be easier for their children if they learned Norwegian at home. This is probably the most common cause of the language-change. 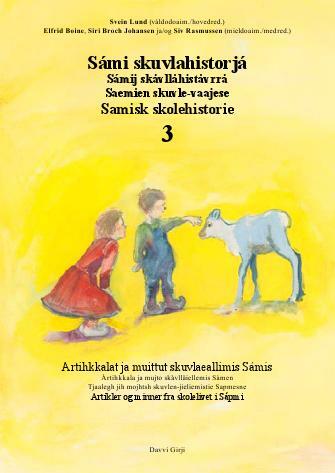 But among the stories in Sami school history we also find several examples that children, who had learned Sami at home, quit speaking Sami when they started school, because they were not allowed to speak Sami there. Here are some extracts from these stories. We spoke both Sami and Norwegian at home. That is why I did not have any language problems when I started school. 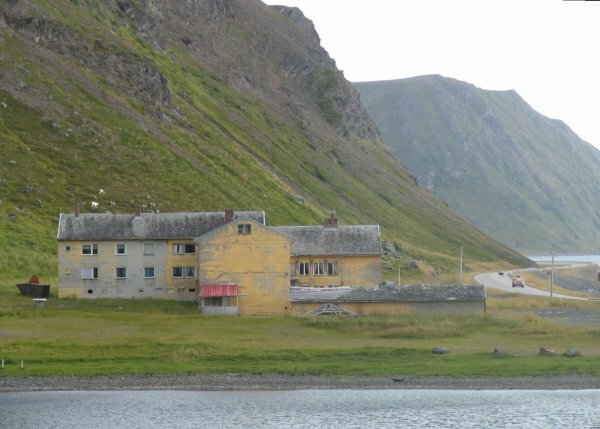 In 1932 I started Fjordtun boarding school in Rypefjord. It was the biggest dormitory in the area, I remember that once we were 88 children there. 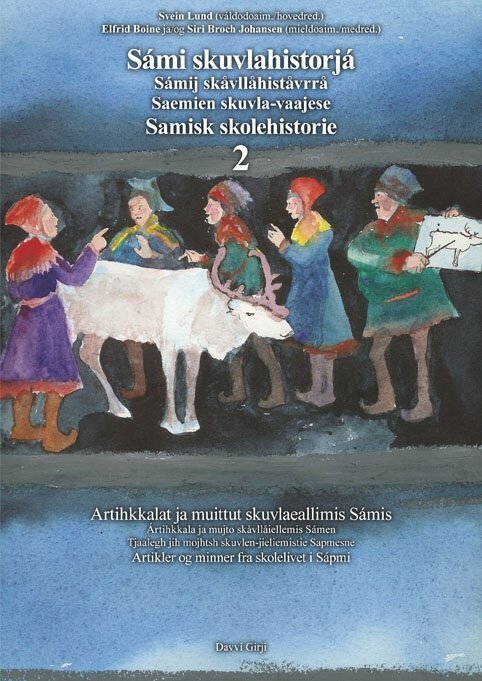 The teachers told us clearly: It was not allowed to speak Sami. That is how the law was back then. 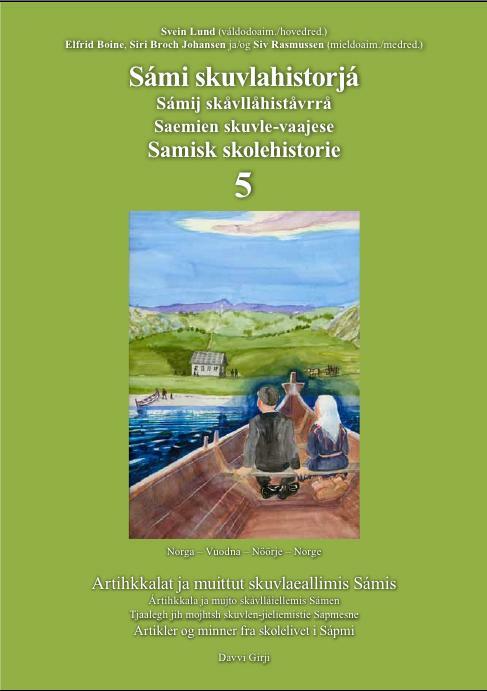 The children did not speak Sami at all in school, and when they came home they did not want to speak Sami there neither. My teacher was Anna Andersen. She was a little bit strickt, but we did not care too much. I also remember Jakob Lande and old Forberg taught us. Sivert and I had a boat together, and when we wanted to speak and did not want the others to hear it, we changed to Sami. And the southerners were so angry, they said it was a language we had invented ourselves. They did not like it. People that have not been here did not believe that Sami was a language. Klemet Hætta Vik comes from Stallogargo in Kvalsund. He started school in Trøndelag during the evacuation. I knew little Norwegian when we were evacuated, but I had already learned the language quite well in the farms where we were before I started school. The Norwegian I learned was naturally the dialect there in Inn-Trøndelag. Me and my cousins started to speak the dialect of Trøndelag with each other. After that time we spoke Sami only with the grown ups. 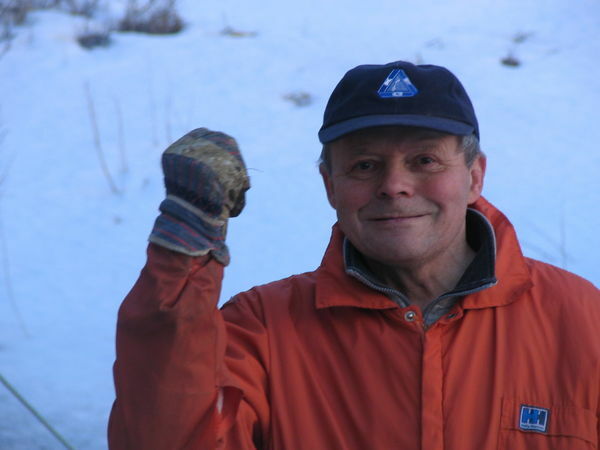 Birger Gustavsen grew up in Jarfjord in Sør-Varanger and went to school there in the 1950's. The schooling had the consequence that many became Norwegianized. Many left the village and had forgotten Sami when they returned. Also the ones who stayed in the village quit speaking Sami. The general attitude was that it was not good to speak Sami, Birger Gustavsen tells. He tells that during childhood he felt embarrassed himself when he had to speak Sami with his grandmother in the presence of others. After finishing school Birger has spoken Sami only with a few of his peers. And today very few people in Jardfjord are able to speak Sami. Birger went to the sea in his youth. When he returned home after six years it was difficult to speak Sami. I could understand everything, but it was difficult to make the tongue beat, Birger says. After all I had not used the language for all those years. Grandmother was very disappointed, she could not understand how you could forget your own mother tongue. But after a while the pronunciation and the ways of speaking came back. Ingunn Utsi went to school in Repvåg and Sarnes in Nordkapp from 1955. I am probably the youngest one in that area who grew up speaking only Sami. A few who are a couple of years younger than me spoke Sami at home, but they had learned Norwegian as well by the time they started school. And the children born from 1952-53 and onwards have grown up speaking Norwegian. They can probably understand some Sami, but they do not speak the language. Sarnes boarding school have been closed for a long time, and is decaying. Photographed 2005. When my elder brothers and sisters returned from school and had learned Norwegian, they tried to speak Norwegian also with us younger siblings. Gradually as we learned Norwegian, we began to speak a lot of Norwegian amongst us. After moving to Sarnes, Norwegian turned into the common language of all the children, and our knowledge of Sami became a secret. We only spoke Sami with our parents and other grown ups when we were at home. After becoming adults we siblings have mostly spoken Norwegian with each other. As the older generation slowly perished, we only spoke Norwegian in everyday life. Some of us siblings are still able to speak Sami to one another, but the others seem to have forgotten the language. The bullying of Sami children did not end with Larine's generation. Her eldest daughter, who was born in 1950, knew more Sami than Norwegian when she started school. But they bullied her in such a way that she quit speaking Sami afterwards. – When I grew up, Sami was a language spoken among the grown ups, and a banned language for the children. My mother told me that I spoke Sami until I was four years old. I can not remember it myself. On the other hand I remember the feeling and confusion when everybody all of a sudden changed language. Later I got the explanation to what happened. 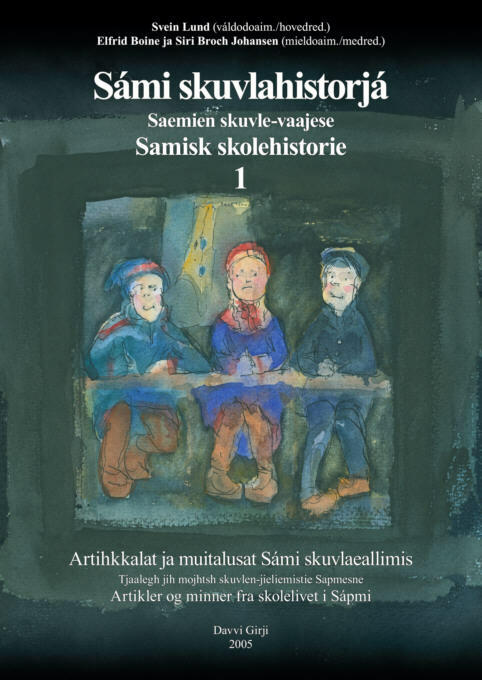 After the centralization of the school to Tennevoll in the 50's, the fact that the children were Sami speaking was no longer taken into consideration. All the teaching was done in Norwegian. 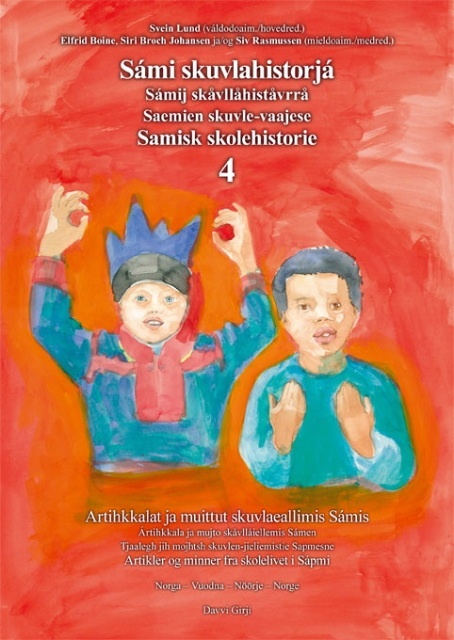 The Sami children became losers in school. The parents were despairing, and in a meeting in Spansdalen in the early 1960's they agreed to speak Norwegian with the children. The parents felt they had no other choice. Most of them stayed with this decision, only a few families resisted. The language we had heard since we were born and in which we had learned to speak turned into a sort of forbidden language in the twinkling of an eye. We were not allowed to speak Sami and rather not understand it either. It created a barrier for us who experienced it, both in speaking and understanding. Although the attitudes have changed now, this barrier still exist. Throughout the years it has not been a problem to speak different languages. But to speak Sami is still difficult emotionally, although I heard my parents speak Sami daily throughout my childhood and even if my husband and our children spoke in Sami at home. 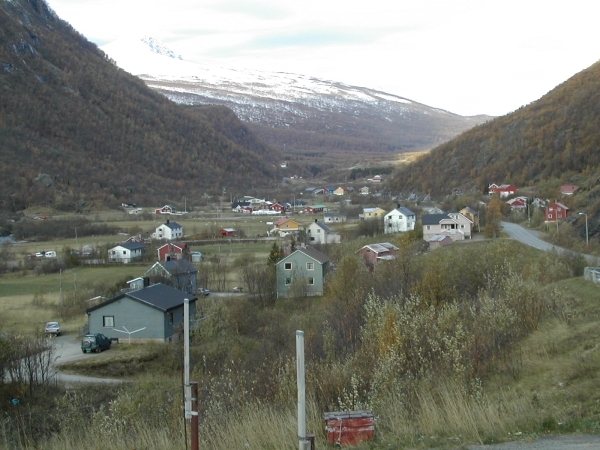 A woman in Spansdalen, who is ten years older than me, grew up speaking only Sami at home. When she started school in the early 1950's, it took several years until she beagn to understand anything. But although she later has been eager for her children to get Sami teaching, she is not able to speak Sami with them herself. It was a time when many people wanted to take a distance to everything that was Sami. It was said that you would not get far speaking Sami. I have heard of Sami people in other Sami-villages who burned photographs of their parents and grandparents if they had been photographed wearing the national costume. The Sami people in Spansdalen have been carriers of the Sami culture a long time before other Sami in this area dared to come forward a Sami. For this reason the Sami in Spansdalen have been stigmatized. In the 1970's the Sami association in Spansdalen was founded, youths and adults started to wear the national costumes again. In the neighbouring municipality Gratangen the Sami issue has been put on the agenda quite recently, while the Sami in Salangen are still barely visible. Recently I read in the newspaper that a Sami in Salangen encouraged the Sami in Salangen to come out of the closet. The world is progressing!